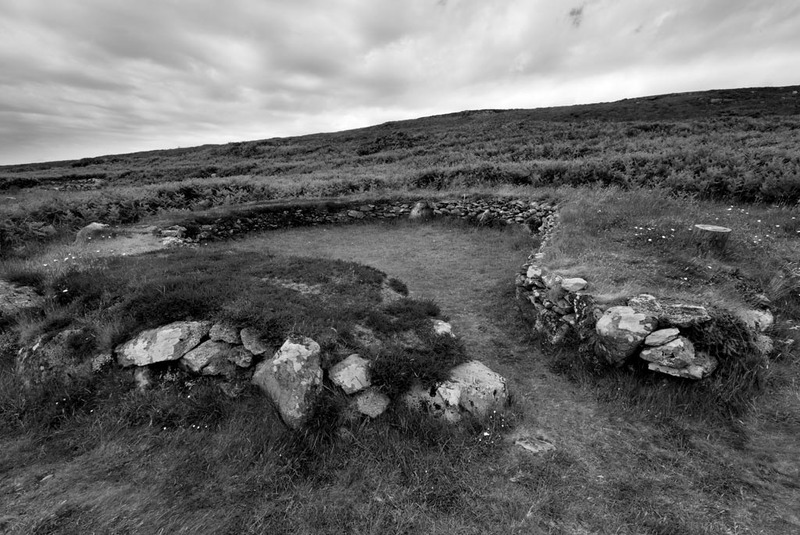 arch Holyhed M Hut C A08_001-02_14-06-18 BW | Ty Mawr Hut Circles on Holyhead on Anglesey, Wales. Parts are 4000 years old. With the remains of about 20 or so round stone houses, stores and workshops, and artefacts like a stone sink deeply embedded in the ground. This was a settlement built around what became an agricultural site. There is evidence of various settlements on the site with up to a 1000 years between them.